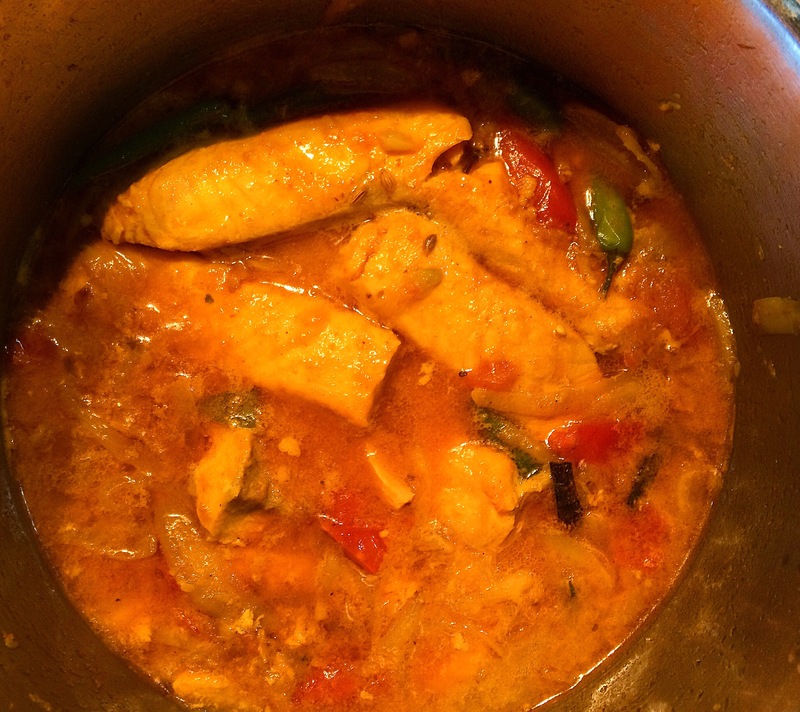 I love fish curry. It’s something I made up when I couldn’t be bothered to defrost chicken. I was tired, hungry and didn’t have a lot of time to spend cooking something. I took out the salmon from my freezer and made a super quick and healthy meal that I’ve cooked ever since. Perfect with bread, rice, couscous and even on its own with salad. 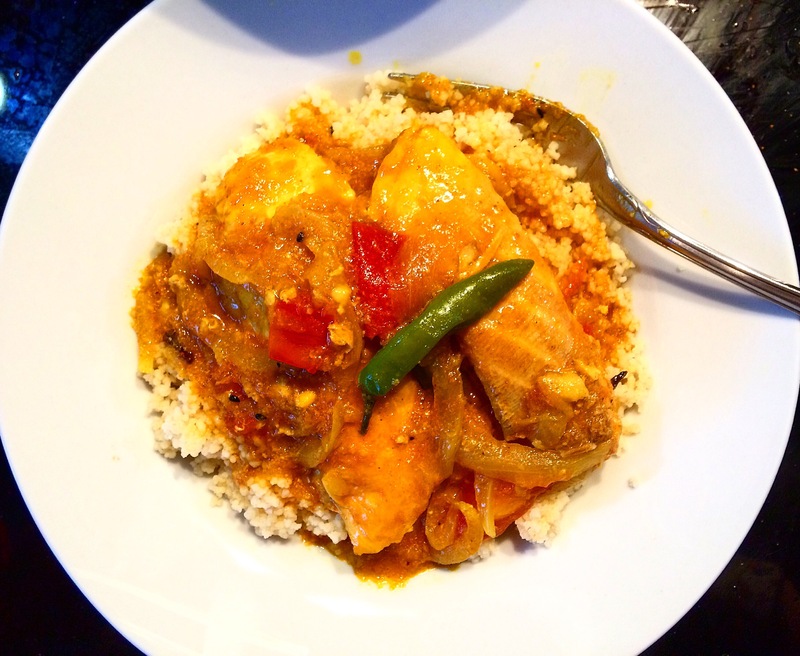 I guarantee you will be making this recipe again and again! Fry one sliced onion in olive oil till its golden brown. Add in a teaspoon of garlic and a teaspoon of ginger. Add in loose spice; cloves and cinnamon sticks (broken into pieces), and bay leaves. Stir fry for a bit and add in loosely chopped tomatoes. I used 2 for 3 fillets of salmon. Stir fry and add a little water, may be 1/4 cup. 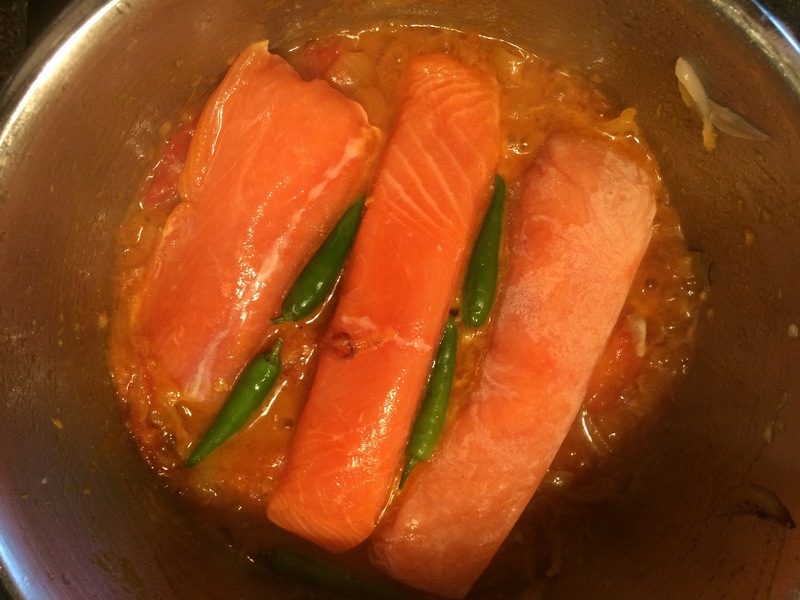 When you see the water is starting to evaporate, add the fillets of salmon and add the whole green chillies on top. Shake the pan to ensure the masala is covering the fish evenly. Add water as per how much sauce/curry/masala you want and cover. Lastly, squeeze in lemon juice- again depending on how much of it you want to taste in your curry. Let it simmer on low heat till you see a thin film of oil appear on the sides of the pot. All in all this should take you 20-25 mins max.